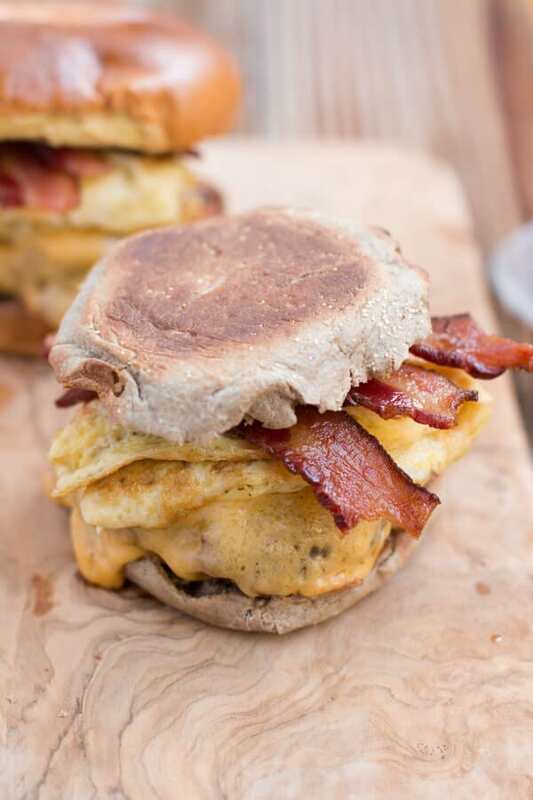 Last week I asked if any of you would be interested in a breakfast sandwich recipe and holy moly, that was a unanimous yes. 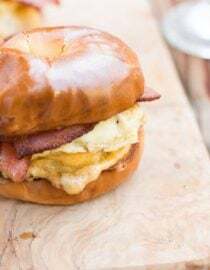 I honestly don’t think we had a single “no” and if we did it was probably someone having a grouchy day because who doesn’t want some awesome sandwich for breakfast? 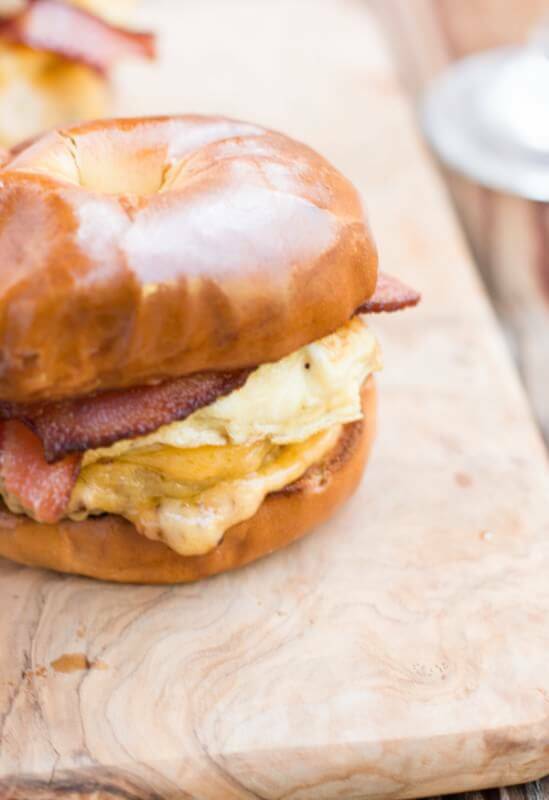 Here’s the thing though, yes it’s our favorite breakfast sandwich but it’s also nothing over the top. In fact I feel almost bad posting it since it’s pretty regular except for one thing. Have you seen the new Thomas vanilla cinnamon English muffins and wait for it…. French Toast bagels?! Oh, what?! No, I’m not being paid to say this but when they said they were coming out I was dying to try them so of course I had to have them send me some. And everyone, even our girls totally got suckered into this lovely world of Thomas’. You guys, these are delicious. We even split the last bagel four ways so we could all share it. And Thomas’, yeah we are going to need an entire box of all your flavors delivered asap to keep this family happy. So what’s our secret, well if you haven’t caught on, it’s the bread. 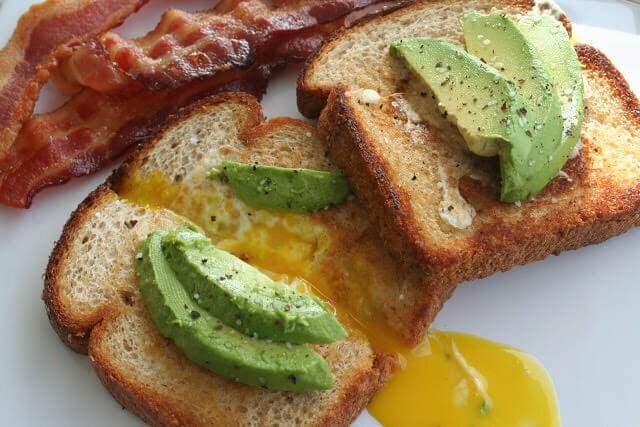 I know, I could have made a hollandaise sauce or gone with some flavor like Mexican, Greek, etc but as much as we adore all foods and especially those fun ones, Cade and I have both agreed that sometimes what you really want is just the flavors you grew up with as a kid. French toast, bacon, cheese and egg. Am I right? So we set off to make breakfast sandwiches and without even thinking it would matter we toasted up a few bagels and English muffins. We really just didn’t have any original flavors in the house so we just used these unique ones instead of running to the store. And blessed be Cade for doing it because that sweet and salty thing knocked our socks off! 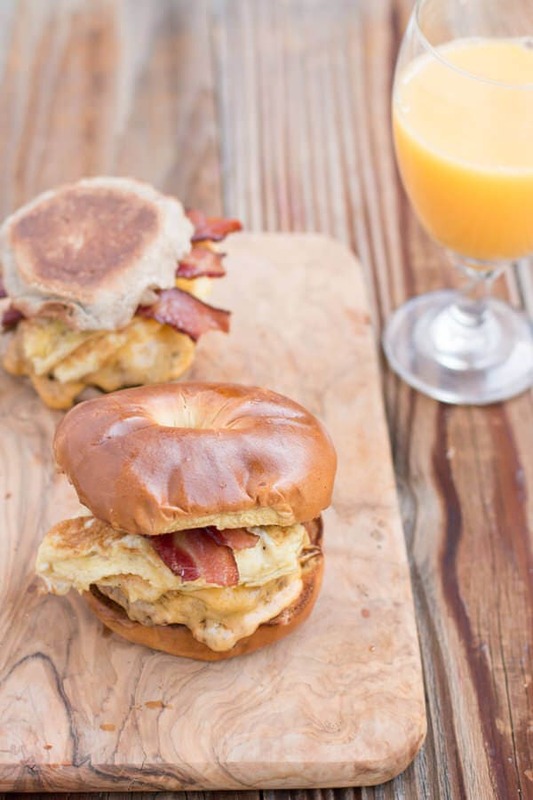 Just a change in the bread and it is our new favorite breakfast sandwich. Cade voted the french toast bagel be number one and normally I’d totally agree but for some reason I LOVED the vanilla cinnamon. Man it was good! 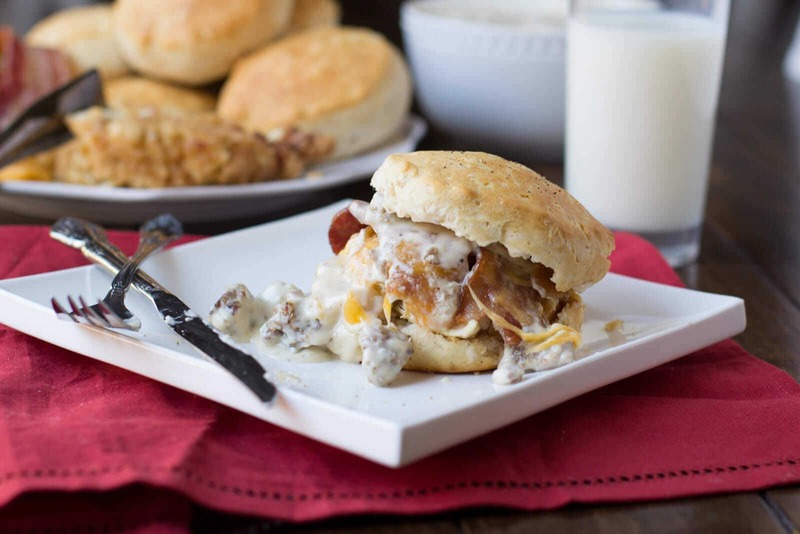 I know, so easy, good quality sausage in a pan topped with gooey cheese, crisp bacon and fluffy eggs all on a buttered bagel or English muffin, but trust me it’s awesome. Are English Muffins Dairy Free? Most English Muffins, both store-bought and homemade, contain some sort of dairy ingredients. Many bagels are vegan, but obviously not the egg bagels. Most bagels are also dairy free. Is Breakfast Sausage Made of Pork? 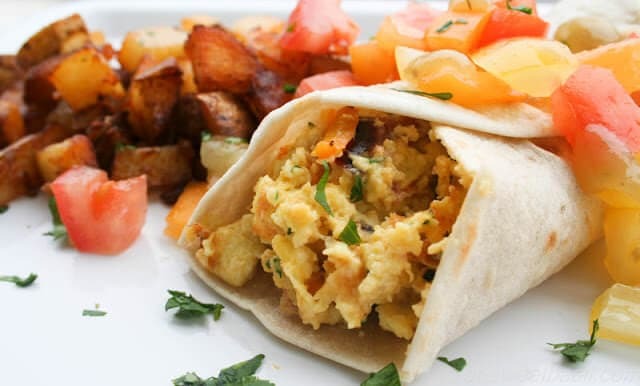 Breakfast sausage (or country sausage) is a type of fresh sausage made from pork. Head a skilled over medium low heat and add the sausage once hot. Cook for about 6 minutes per side. Place cheese on top and cover with a lid to allow the cheese to melt. Meanwhile, heat a smaller skillet over medium heat with a drizzle of oil. Place all of the egg whites, half of the yolks milk and salt and pepper into a bowl and whisk to combine. Once the pan is hot, slowly pour in about 1/4 of the mixture. As the bottom sets, using a spatula, carefully push the eggs toward the center of the pan and tilt the pan so the uncooked egg can run over to that side. Repeat around the pan until all of the liquid is gone. Cook for another few seconds then flip the egg and cook until set on the other side. Gently fold the egg in half and cut into two pieces. Now, toast the bread and butter once toasted. 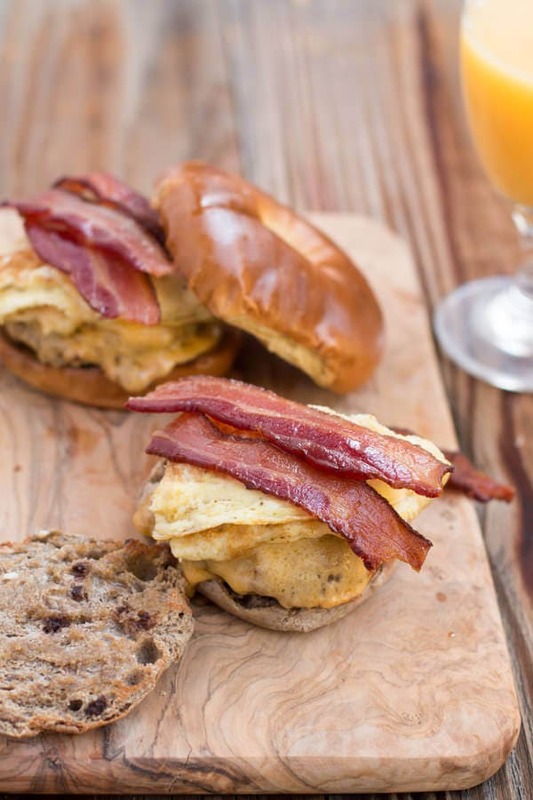 Place the sausage on half of the bread, top with egg and bacon and close with the lid. The sausage and bacon can be cooked ahead and reheated if necessary.